Martin Henn studied architecture at the University of Stuttgart and at the ETH, Zurich. 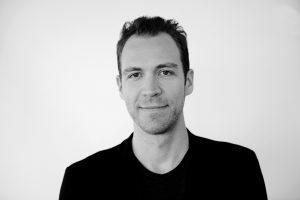 He received his Master’s Degree in Architecture from the ETH, Zurich in 2006, and his Post-Professional Master of Advanced Architectural Design from Columbia University, New York in 2008. Prior to HENN, he was working for Zaha Hadid Architects in London and Asymptote Architecture in New York. Martin Henn is Design Director of HENN. In 2012 he was made partner.